Aritar is a beautiful town in East Sikkim and is about 4 hours drive from Gangtok. It is known for its breathtaking scenery. 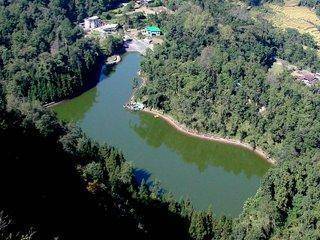 Visitors go to Lampokhari lake and enjoy boating. Mankhim Dara, a temple dedicated to Rai community is on a small hillock near Aritar. One of the oldest monasteries of Sikkim, Aritar Gumpa is where you will find peace and tranquility. The Lampokhari festival, hosted every year in March- April is a flurry of activities including horseback riding and archery competitions. There is a small lake here called Lampokhari lake, where boating is allowed.